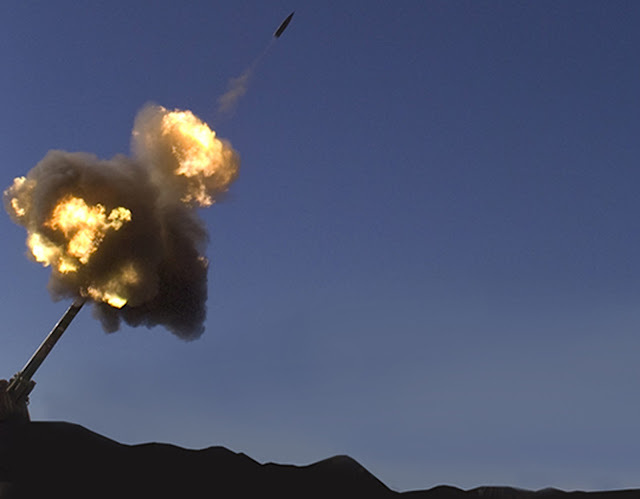 The U.S. Army's Excalibur Program Office has determined that Raytheon Company's Excalibur Ib precision guided artillery round is fully compatible with the M198 howitzer when used with the Modular Artillery Charge System. The compatibility allows allied military forces to use the world's only 155 mm precision munition when firing the M198 howitzer. Excalibur extends the M198's reach to 25 miles (40 kilometers) and provides an all-weather strike within 6 1/2 feet (2 meters) of the target. "Many of our international partners have an urgent need to address vital security interests, and Excalibur lb meets that need," said Mark Hokeness, Raytheon's Excalibur program director. "This eliminates the time and cost of further compatibility testing in the M198 howitzer."